Also beautiful is the fact that I no longer have to spend the two hours between work and bedtime commuting, doing homework and making dinner. School is out, bedtime is optional and there’s plenty of time to make summer magic with my family. It’s enough to make me do a happy dance. If you feel like celebrating the kickoff to summer, check out some of these free family events happening this week. Tuesday Night Flicks. Bring your lawn chair and snacks and watch "Edward Scissorhands" under the stars at Canalside, 44 Prime St. The movie (which is rated PG-13) starts at 8 p.m. The series runs through Aug. 29. Other movies include “Hidden Figures,” June 27; “Moana,” July 11; “The Sandlot,” July 18; “West Side Story,” July 15; “Trolls,” Aug. 1; “Secret Life of Pets,” Aug. 8, “50 First Dates,” Aug. 15; “Space Jam,” Aug. 22 and “Beauty and the Beast” (the 2017 version), Aug. 29. 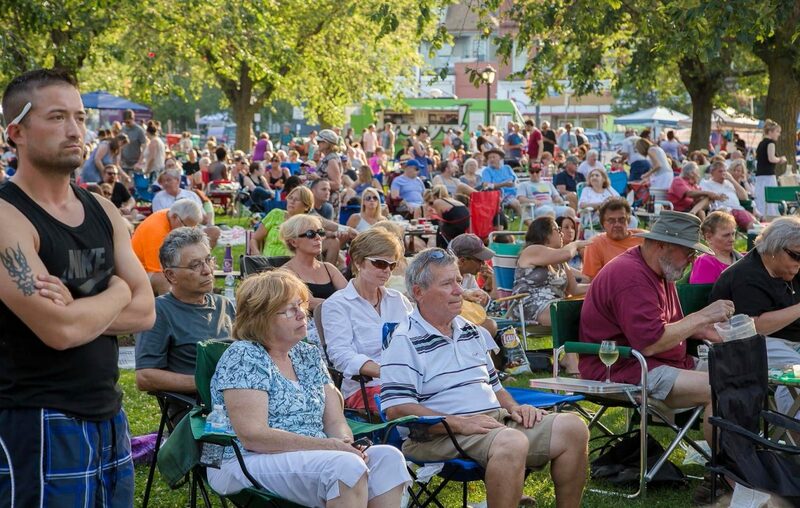 Elmwood Village Summer Concert Series. Jam out at Bidwell Parkway from 7 to 9 p.m. every Tuesday through Aug. 15 (excluding July 4). First up: Dixieland and hot jazz band the Fredtown Stompers. Make Music Day. This sounds absolutely awesome! Started in France in 1982, Make Music Day encourages everyone everywhere to make music – whether they’re a rock star, classically trained or have never had a lesson. There are events all around Western New York on Wednesday from Jamestown (noon to 5 p.m. downtown with musicians from the Infinity Visual and Performing Arts School) to Niagara Falls (with the French Quarter Hounds from 9:30 to 10:30 p.m at Terrapin Point on Goat Island Road). There also will be free music lessons that day, including harmonica with Rick Nicotra from 3 to 5 p.m at Canalside (the first 50 people get a free harmonica!) and “Cello Movement Music” with Bethany Erhardt at the Buffalo Cello School at 5:45 p.m. (register at BuffaloCello.com/registration). Family FUN Thursdays at Canalside. There will be free family activities from 11 a.m. to 1 p.m. every Thursday through Aug. 31 on the lawn. This week, kids can bring their favorite stuffed animal for a Teddy Bear Parade, then dance and exercise with Dansations School of Dance & Acrobatics. There also will be a craft, story time and a visit from Snow White. Festival of Fathers. A great event where families can celebrate dads, grandpas and father figures just in time for Father’s Day. There will be games, prizes, fishing and other fun stuff at the corner of Hyde Park and Pine Avenue in Niagara Falls from noon to 2 p.m. Friday. Call 285-6984. Family Fun on Old Falls Street. There will be interactive games, arts, crafts and live entertainment from noon to 5 p.m. every Saturday on Old Falls Street through Aug. 26. This week there will be comedy and juggling by In Jest and music by Zak Ward. Stories in the Woods. Hear a nature story, then take a guided walk through Reinstein Woods, 93 Honorine Drive in Depew, at 10 a.m. Saturday. Open to ages 3 to 7. Registration is required by calling 683-5959.